Home » Resources » School Science Review » Issue 366 » Teaching particle physics in secondary schools: why do physicists want to smash matter to bits? Matter can be described and explained in a number of ways, using models of increasing complexity depending on the intended audience. Under the current National Curriculum for England, the kinetic theory of matter is taught to 11- and 12-year-olds in secondary schools to explain the structure of solids, liquids and gases and their behaviour when heated. At GCSE, the Rutherford model of the atom is used to explain radioactivity and nuclear fission. The model of the atom needs a further degree of refinement in the teaching of A-level physics. Electrons orbit the nucleus but can also jump orbits when sufficient energy is applied to the atom. The electrons fall back to their ground states and emit light photons of a characteristic frequency. This model put forward by Bohr explains the atomic line spectra of gases. A-level physics also teaches Einstein's photoelectric equation and the De Broglie relation for wave/particle duality. More recently, topics dealing with particle physics have been included by the three major exam boards in England. 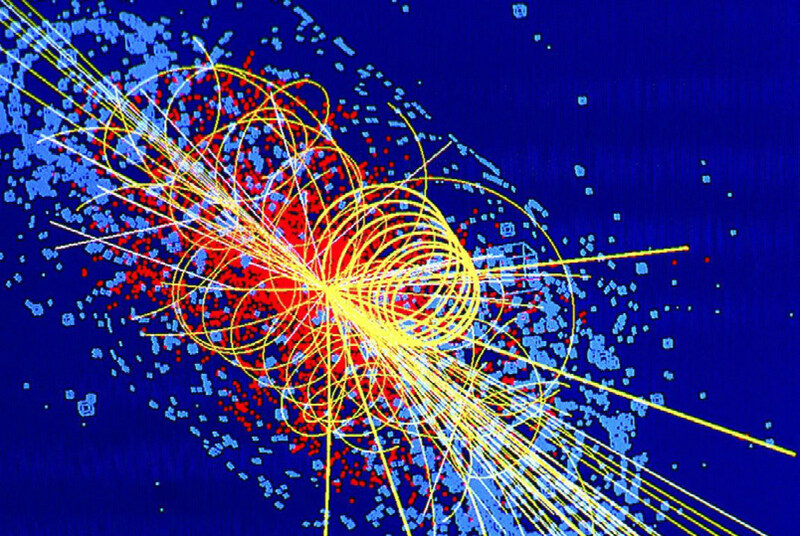 The search for the building blocks of matter (elementary particles) has produced the quark model of particles that have a fraction of the charge on the electron. The six quarks together with six leptons now make up the Standard Model of particle physics. A-level physics includes the recent development and formulation of the Standard Model. The depth of coverage of this topic varies widely according to the choice of exam board. This article compares three exam boards' coverage of particle physics and gives a brief chronological history of the development of the Standard Model.